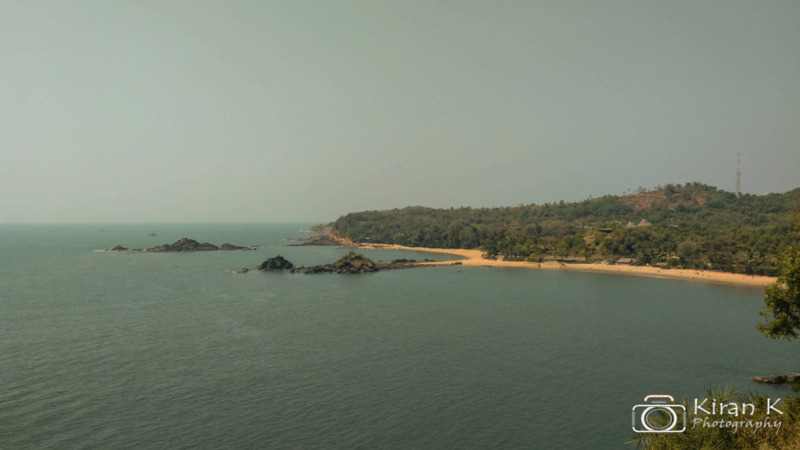 Gokarna,a place in the coastal Karnataka, is famous for both sides of lives. On one side, theres the famous Mahabaleshwara temple, where in, Lord Ganesha dropped the idol of lord Shiva gifted to Ravana as boon of his worship on the sands, and on the other sides there are: Beaches, shacks, foreigners, food, fun, anything else one can think of. 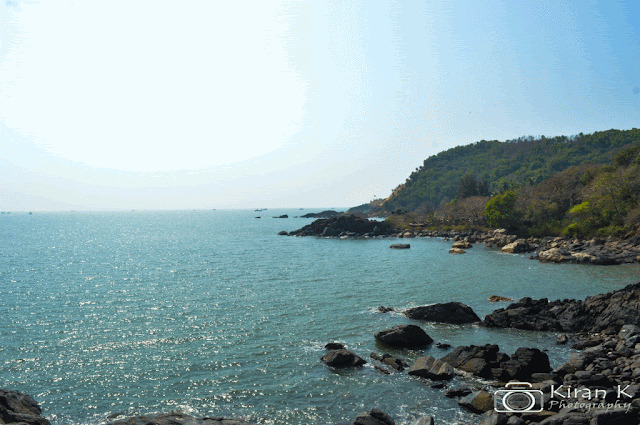 Gokarna, is situated along the coastal Karnataka, at around 30km from the famous town Kumta. The place boasts of both sides of life: the religious life, and the fun loving life. People come in swarms to enjoy the life here. The place is covered by beaches all around. There are beaches almost everywhere : Om beach, Kudle beach,Half moon beach, Paradise beach, Gods own beach, etc. One good thing is all the places in this town can be covered by just walking. One can find people moving here and there, from one beach to the other, from one side to another whole day. Our trip started from Bangalore on a friday night. 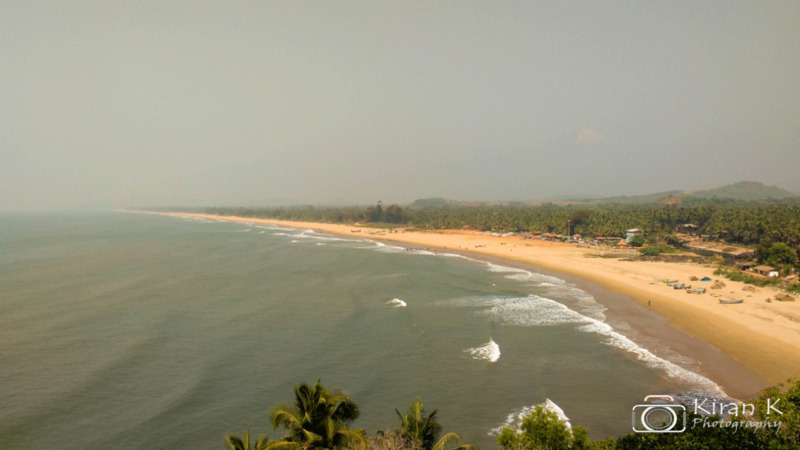 For people travelling from Bangalore there are sufficient buses to Gokarna . Also there is availability of train, but are prone to be much slower than the bus. As an alternate mode of transport, one can also look into coming by his/her own transport too. We managed to reach early morning on Saturday and since we hadnt booked anything, we decided to visit one of the beaches and book for our stay on the spot. 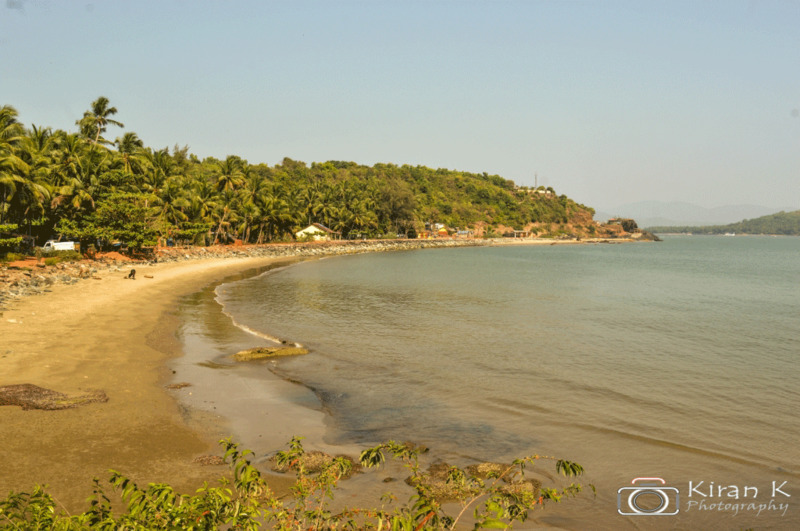 We have had good reviews about Kudle beach and hence decided to visit Kudle beach. The bus dropped us near the famous Gokarna temple. From there, one could either take a auto and reach Kudle beach(would cost around Rs.120) or could prefer walking on the main road. Since it was quite early morning rather than taking an auto we preferred to walk , but not on the main road, instead, walk on the sides of beach. Anyhow since all the beaches are connected , one can walk thru the coast passing thru any hill or mountain separating the beaches. 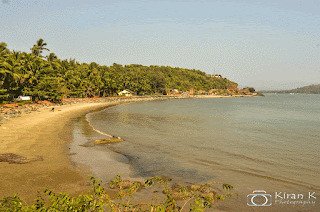 Finally we managed to reach Kudle beach, and started searching for a place to stay. Since it was off-season, we managed to secure a room for ourselves after asking around for sometime. Usually the shacks are pretty cheap here and a normal typical hut would cost somewhere around 400 while a room costed us 500 for a night. Since we were quite hungry, without giving any second thought, we headed to a restaurant nearby. One good thing about the beaches here is the food. Typically all the hotels serve a variety of cuisines usually round the clock. That is one good thing about this place, especially if you are foody person. 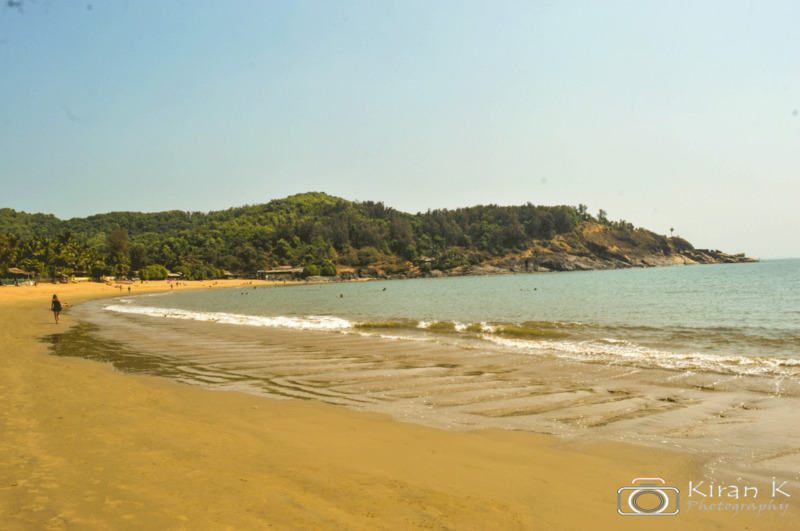 After our quick brunch, we decided to explore all the beaches of Gokarna. Gokarna has many beaches in itself. It starts from the main Gokarna beach behind the Mahabaleshwara temple. From there if one heads southwards, after crossing a hilly terrain, one visits Kudle Beach. If one still continues further and crossing one more hill, you will end up in the Om beach. The Om-beach is a particularly famous destination among all people arriving here. This place got its name mainly due to "OM" shape of the beach. This beach is quite crowded most of the times. From Om beach, heading further down, after crossing few more hills, one visits the Half-moon beach. 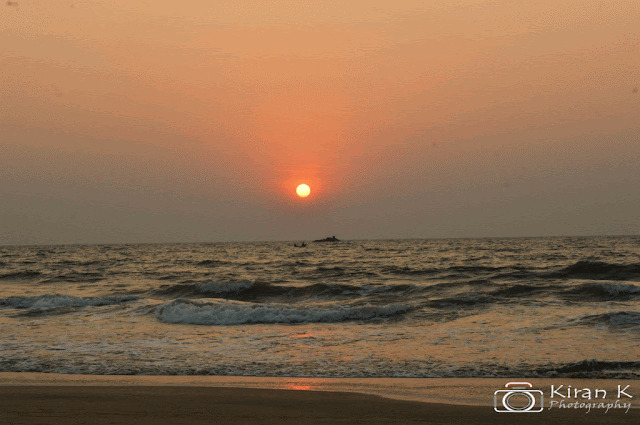 Again its quite evident from the name that the beach is in the shape of half moon. Heading further down, one croses over paradise beach. From my personal observation , i found this place more friendly if you are planning to stay in tents, though you have to get your own tents. There were very less Indians/locals in this part of beach and the place hosted a relaxing look, much more than any other beaches. But the number of restaurants in this place was very less when compared to Kudle/Om Beach. 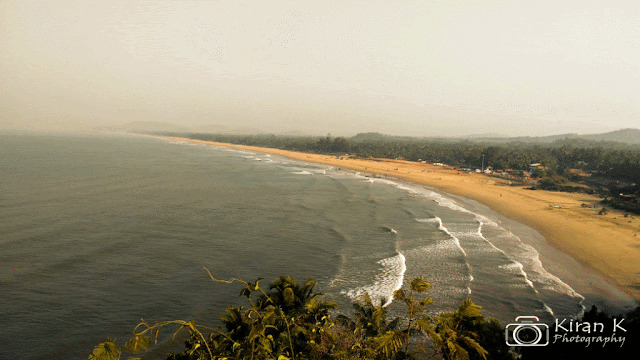 Further down, after covering the stretch inside forest, thru terrains, finally one can see the Gods own country beach. This beach was all deserted and I could find people using this beach for fishing business. From here we took a bus back to gokarna and then finally ended up at Kudle beach. 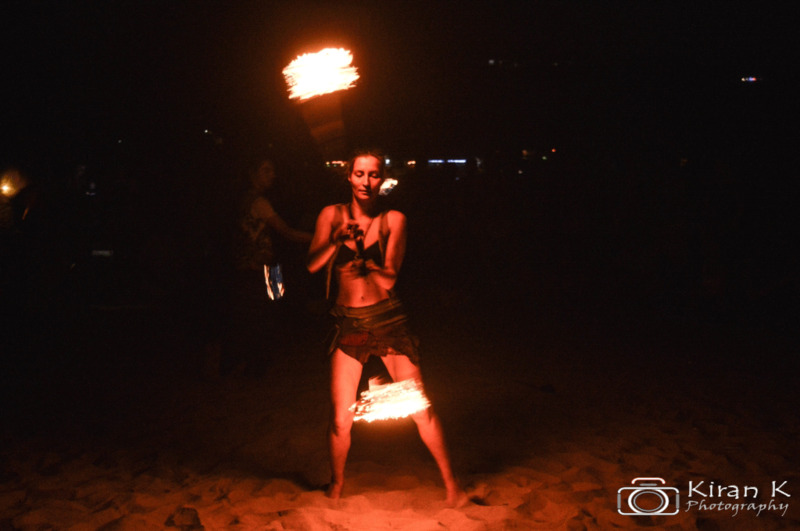 One good thing about Gokarna is people are active even in the nights. One can find people roaming by the beach shore even at 12 in midnight. Also, usually there will be someone or the other performing or some event happening. Such events are bound to keep you entertained. But since we were quite tired after walking for the entire day, we decided to call off past midnight. The next day was spent relaxing along the beach shores. This is one of the best places to either read, or indulge yourself in some activity or even learn something new. Finally by evening, we had to leave back to Bangalore. On our way back, we paid visit to the famous Mahabaleshwara temple. Its said that this temple is the where one can find Atmalinga of lord shiva. Gokarna is a amazing place in itself and is bound to attract everyone towards it. The life over here is very colourful, relaxed and fun. 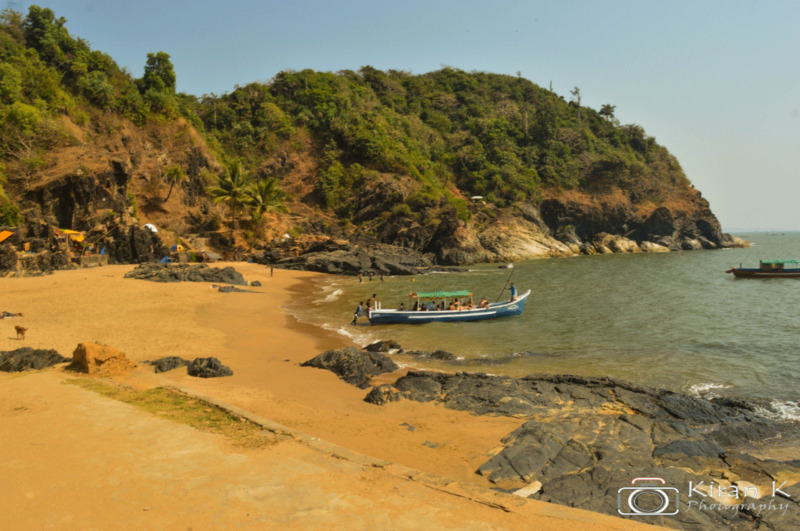 Gokarna truly is a place to visit if you are looking for a relaxing vacation with your loved and dear ones.